How Old do you Have to be to Work at ABM? If you are customer-driven and enjoy working in an environment engaging with clients, or if you have a skilled trade that could be applied in various different industries, then ABM might be just the right fit for you. Read on to learn how to get hired at one of the varied service staffing agencies in the country. You don’t need specialized skills to get a job with ABM. Some job training is offered, and the company policy is to promote from within. ABM has been providing facility solutions since 1909, and serves airports, hospitals, government, industrial parks and more. The following guide will share just a few of their many current vacancies, walk you through the application process, and give you a little more insight about the company to help you get your foot in the door and become a part of the ABM family. Jobs at ABM cover a wide a spectrum: Airline Passenger Assist, Day Porter, Night Cleaner, Production Bakery Helper, Landscape Laborer, Driver, and Security Guard. ABM has more job opportunities than you can imagine. If you love helping to make businesses function smoothly, read on to find out how to land a job here. The role of Airline Passenger Assist is to help airline passengers who require wheelchair assistance. This is an entry-level position where you must engage directly with clients. If you are able-bodied and enjoy engaging with people and helping them, then this is the job for you. A Day Porter is responsible for cleaning and stocking supplies within the public areas inside and outside of a building- including restrooms. This job will keep you on your toes, as you will need to be responsive to management in a timely, efficient manner. If you are a person who is flexible and happy to complete tasks as assigned, this is the job for you. Cleaners are responsible for providing the cleaning and upkeep of assigned areas. These range from aircraft to buildings, hospitals, and other facilities. Duties may include vacuuming, sweeping, or mopping floors; dusting furniture, pictures, ventilation, and blinds; and emptying waste baskets, cleaning windows, and other such maintenance. If you love task-oriented work, are flexible and detail-oriented, then this could be a great opportunity for you. This is the perfect position for someone who doesn’t mind repetitive tasks and has sharp eyes for inconsistencies. This role involves inspecting bread on a production line for defects and positioning issues. If you love the aroma of fresh-baked bread and are a bit of a perfectionist, this is a job for you. The role of Landscape Laborer will be performed outdoors using landscaping equipment and will include mowing, installing plants, manicuring and pruning, and many other landscape maintenance tasks. The ideal candidate for this job is strong, hardworking, and has some existing knowledge of landscaping machines. If you enjoy working outdoors and doing some heavy lifting (literally), then this could be the job for you. Drivers are responsible for operating and maintaining a shuttle bus, in addition to loading, unloading, and transporting passengers. If you enjoy driving and interacting with people and can lift 75 pounds, this could be the job for you. The Building Lead is responsible for supervising day-to-day team operations, and ensuring building performance goals are being met. This could include coordinating supplies, equipment, and the activities of cleaning and maintenance staff, as well as administrative tasks. If you enjoy being in a hospitality environment and are organized and skilled at communication, this could be a great job for you, and a good place to begin developing management skills. Management jobs at ABM are often filled from within, which means that you can work your way up in the company if you are willing to work hard and deliver consistently. There are so many diverse management positions available that it’s hard to even begin to cover. A General Parking Manager is responsible for the operation and administration of Airport parking facilities. This job requires planning and organizational skills and supervises all employees and subcontractors engaged in operating the public parking lots at the airport. A college degree and 5 years of parking lot experience are required. A Facilities Site Manager is part of a team within a high-tech company who oversees the subcontractor delivery system, ensures contractual compliance, and works with HR. This position is fast-paced and challenging and requires commercial or industrial facility experience. This is a great opportunity for someone with excellent communication skills, solid experience writing professional-level reports, and who manages time effectively. ABM offers a wide range of seasonal jobs in airports, warehouses, and more. These temporary opportunities can sometimes transition into a permanent job with the company. How Much Does ABM Pay (Hourly and Salary)? ABM primarily offers hourly pay, with management positions earning salaries. Part-time employees shouldn’t expect to receive any benefits packages, but full-timers and salaried staff get health, dental, and vision benefits as well as a 401K and vacation days– these kick in after 6 months on the job. How Old do You Have to be to Work for ABM? 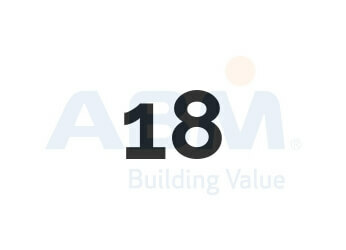 Generally, the minimum age to work for ABM is 18, although some jobs require the applicant to be 21. Drug tests are a typical part of the hiring process at ABM. This varies from position to position, but all applicants will have a background check administered and must be willing to take a drug test. So you’ve applied, heard back, and you’ve landed an interview. Congrats! Now is the time to prepare yourself by knowing what to expect. These are some of the questions you might hear in an interview. Be honest about any skills you have related to the job you are applying for, in particular skills you may have learned in a past job. If you don’t have much job experience, then highlight skills you know you possess, for example that you have no trouble staying focused on a task or that you are friendly and good at dealing with people. If you were to disagree with a supervisor or manager, what would you do?? Explain how you would make sure that the supervisor or manager knew that you disagreed, and explain why, so that you can come to a mutual understanding. This is not a trick question, but rather an opportunity for you to show that you have conflict resolution and communication skills. Whether or not you’ve been in this position, you can answer this question by relaying a story of how you’ve dealt with a difficult person. The answer should always involve that you would use patience and understanding: truly listen to a person to better understand what they are really asking for, sympathize with them, and offer them some options to solve their problem. Again, just be honest. This question is designed to help the interviewer see that you have some coping skills. Explain how you take deep breaths, count to 10, and assess the situation before deciding what to do. And that when you do act, you do so calmly and having thought it out first. Whether you are applying for a cleaning or customer-service type position, you should dress neatly and business-casual. For management, err on the side of slightly more formal dress. Remember, many of these jobs will involve wearing a uniform, so you don’t need to try to express yourself with unique clothes or accessories.